I don't know how long it will last, it's up to the publisher. The iBooks glitch is fixed and Stories of the Raksura I is finally showing up as available. It looks like they didn't lose the preorders, either. That's a big relief! I guess this is release day #2. We're still waiting for release #3, the trade paperback. Which I still hope will be next week. Empire and Rebellion: Razor's Edge is in my house. It comes out in hardcover, ebook, and audiobook on September 24. There is now a discounted ebook compendium of the three Books of the Raksura (The Cloud Roads, The Serpent Sea, and The Siren Depths) on Kindle, Nook, and Kobo. I signed the first two copies of Emilie and the Hollow World today, for my husband's supervisor's daughters, India and Tysyn. So it was neat for the first signed copies of my YA to do to YA-age people. * Liz Bourke in her Sleeps with Monsters column on Tor.com said very nice things about The Element of Fire. * The Other Half of the Sky anthology (I have a Raksura story in it) got a great Library Journal review: Fearless writing and a broad selection of topics makes this a good choice for fans of woman-centered SF and excellent storytelling. The official release date is April 23 and that's when the ebook version will be available. “Someone made statues of your family, you’re hauling them around, and you don’t know why,” Mike asked. “Yeah, I guess,” said Keith. * It looks like the Star Wars novel may have been moved up to October 15, which is good because then it will be out by Star Wars Reads day. * If you missed it yesterday, The Cloud Roads seems to be available in trade paperback again, and people who ordered it over the past four months or so are getting their copies, which is a huge relief for me. I just don't think it happened in time to help The Siren Depths. 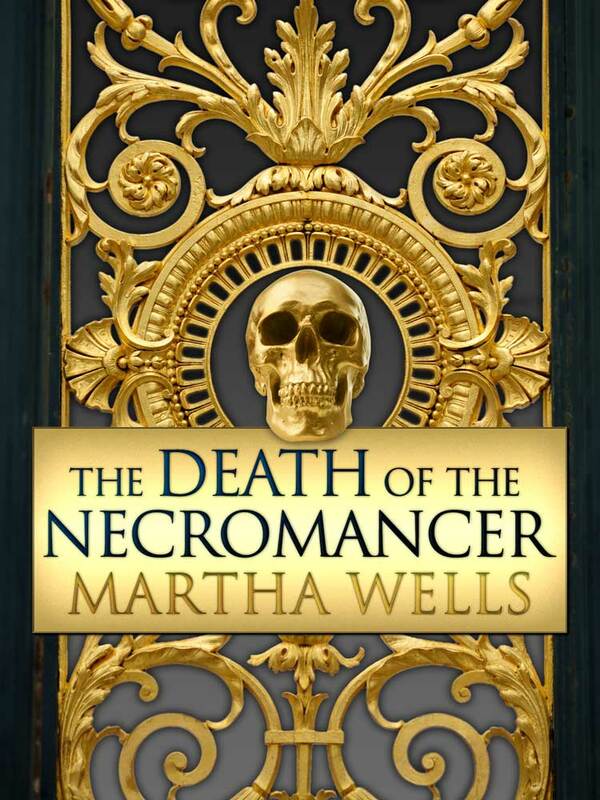 * The Death of the Necromancer is available in ebook (DRM-Free) at Barnes and Noble NookBook, Kobo, Amazon US Kindle, Amazon UK Kindle, Barnes and Noble UK, Kindle Canada, Kindle Germany, Kindle France, Kindle Spain, Kindle Italy. Purchase of it or of the also DRM-free ebooks of The Element of Fire, City of Bones or Wheel of the Infinite helps pay for the plumbing disaster repairs to my house. * World Expo Pavilions This was cool. * The Secret Door This is the coolest thing ever. ProTips: 1) it has music, so if you're at work turn down your volume. 2) Don't start it unless you have some time to be entranced for a while. 3) Clicking on the white arrows sometimes gives you a very different view. * Have You Seen These Books? More casualties of the dispute between Barnes and Noble and Simon Schuster. You can order these books at B&N online, but if you ask for them in a store, the employees are not allowed to order them for you. * Terrible Minds: Writers And Misinformation, Or: "How Did You Publish?" This entire writing-and-publishing thing is shot through with pulsing black veins of misinformation. That’s not good for anybody, writer or publisher. I loved these fantasy regency MG novels by Stephanie Burgis. The second one Renegade Magic is now out in paperback. I thought they were just as readable and fun for adults as for kids. I love it! City of Bones was my second novel (from Tor Books, in 1995) and the first one where it actually had a good cover, a neat desert city landscape by artist Richard Bober. (The original is here) For the reprint ebook cover, we basically decided to do something different, and I really love how it turned out. I've uploaded it to Amazon, Barnes and Noble, and Kobo, but who knows how long it will take for them to update. It's available at all those sites and the outside-the-US Amazons for $2.99, and it's supposed to be DRM-free, but that's also dependent on those sites actually acknowledging me telling them the book is supposed to be DRM-free. First chapter sample, links, etc are at my web site. * Last night an LJ friend linked to Kittens in Christmas Trees. I hope I don't end up having a picture to submit. Went out last night to local Mexican restaurant and had one small on-the-rocks margarita, was immediately tipsy and then fell asleep. The excitement! eBooks: Finally, Barnes and Noble has the Nookbook of The Siren Depths available. Book Signing Day: I'm doing a signing at Murder by the Book in Houston today from 3:00 - 4:00 pm for their local authors day. A lot of authors will be signing throughout the day, and if you're out of town, you can use that link to order books and get them personally signed, and the store will ship them to you. 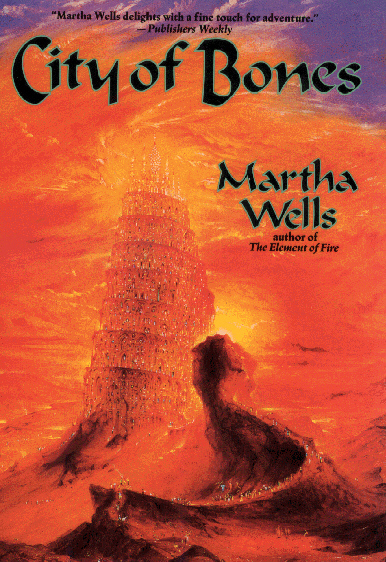 One of my favourite fantasy writers is Martha Wells. She just puts so many incredibly clever spins on familiar tropes, and really has a knack for snappy dialogue and animated characters. I was chatting with one of my husband's new employees a while back who is also a big reader, and when I recommended Death of a Necromancer, he was like, "Oh, I heard of it, but it's a woman's book, right?" After some pressing and some backpedaling on his part, he said he tended to assume books written BY women were always FOR women and thus about things women were interested, though he couldn't really clarify as to what "things" we were supposed to be interested in. He also didn't really have an answer when I asked him if books written by men were then always FOR men. One of many things women are interested in = serial murder for necromantic purposes. Review: There was a nice review of The Other Half of the Sky, the anthology I have a story in, which is coming out in a few months. Mimesis is an adventure story about Jade from the Books of the Raksura.